I Accuse NYC Principals Of Cowardice For Not Signing The NYS Principals Letter To The State Asking For A Delay In Using The Teacher Evaluation Plan. Across New York State principals are signing on to a letter asking the New York State Department of Education to delay implementing the flawed and untested "teacher evaluation plan" until more data and a much needed "pilot program" is started and evaluated. The letter can be found here. Even the State admits that the "teacher evaluation plan" is "a work in progress" but because the Governor, Andrew Cuomo is pushing it, the NYSED shows no willingness to delay the implementation of the plan despite the rising chorus of complaints by Administrators. What is very interesting is that a NYSUT sponsored six school "pilot program" that had principals and Superintendents input as part of the program and is called the Teacher Evaluation and Development (TED) system has proven successful and fosters a collaborative atmosphere between school administrators and teachers.Yet the State has shown little interest in trying this superior approach in educator evaluation. The principal revolt was led by some of the top principals on Long Island and as of November 27th has had 658 out of 4,500 principals (15%) throughout New York state signing on and more do every day . Their complaints are many: the evaluation system was put together in slapdash fashion, with no pilot program; there are test scores to evaluate only fourth-through-eighth-grade English and math teachers; and New York tests are so unreliable that they had to be rescaled radically last year, with proficiency rates in math and English dropping 25 percentage points overnight. While more and more principals are signing the letter throughout New York State, conspicuous by their absence are principals from New York City. To date only 18 out of 1,500 principals have signed the letter, an incredibly miniscule 1.2%. The main reason for the lack of NYC principal participation is that they are afraid of what the Bloomberg/Walcott Administration, who strongly support the "teacher evaluation plan" might do to them. In other words they are cowards. To a lesser degree 19% of the NYC principals are "Leadership Academy Principals" who are clueless of what goes on in the classroom and cannot or will not question what they don't understand. Finally, there are many vindictive, insecure, and petty principals who look forward to the "teacher evaluation plan" as a way to remove a teacher they don't like or want. These principals are known as "principals from hell". Unlike suburban principals who are selected based upon merit, their long-term teaching career, and who learn to collaborate with staff for making a better school, many NYC principals are picked based on politics while some were never even tenured as a classroom teacher. Since Tweed has given these principals almost unlimited power to make decisions and many of those decisions are biased on what's best for the Principal and not for the school. 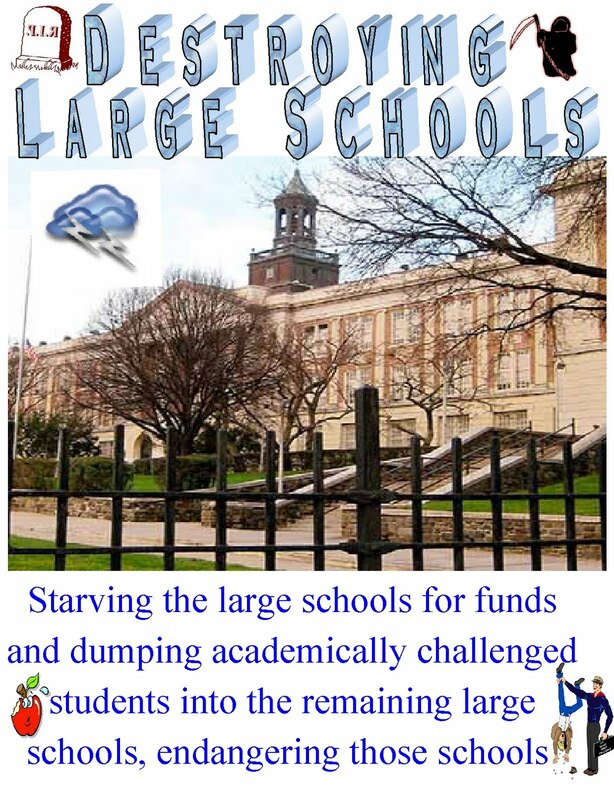 Is it any wonder that they think and act differently then their suburban counterparts and another reason that few NYC principals have signed the letter. The failure of the NYC principals to sign the NYS principals' letter asking for a delay to a flawed, untested, and inferior "teacher evaluation plan" is just a cowardly action on their part. Update: Gotham Schools reports that David Abrams, the Assistant Commissioner of Standards, Assessments, and Reporting since 2004 has abruptly resigned effective immediately. Mr. Abrams has been criticized for the inflated State test scores that had to be rescaled in 2010 and was held responsible for the NYSED's ill-advised advocacy in increasing student test scores to count for 40% of a proposed teachers evaluation system which helped spark a rebellion by principals to the teacher evaluation plan and a NYSUT lawsuit which is now tied-up in court. Over the Thanksgiving weekend I heard a rumor from an acquaintance that the Bloomberg Administration was very unhappy that Governor Andrew Cuomo did not support his bill to repeal "last in , first out", otherwise known as LIFO. In addition, it is becoming increasingly clear that the effects of the teacher evaluation system is at least two years down the road and maybe more if the increasing number of New York State principals (not NYC principals) can convince the State to delay it further. Therefore, his staff, with the cooperation of the DOE, are in the process of revitalizing a new LIFO repeal bill for the 2012-2013 school year. While my contact and I have no idea what the new bill will include. If it will be submitted, I do believe it is very likely a clone of last year's LIFO bill. It is possible that because the Mayor is increasingly being seen as a "lame duck" and his legacy as the "Education Mayor" is shattered, the new bill, if the Mayor actually goes through with it, might, be more limited, such as getting rid of the ATRs or teachers who were "U" rated, etc. but I doubt it. It is highly unlikely that even the Republican Senate will fall in line this time since the Mayor's political power is rapidly disappearing as he faces the end of his unpopular third term. Furthermore, the ever rising class sizes, teacher attrition, teacher evaluation procedures, and an enforced City hiring freeze may make the rationale of a LIFO bill unnecessary. However, this might not stop Mayor Bloomberg from trying anyway. It even might be in his best interest to at least make an attempt to submit a new LIFO repeal bill to satisfy his ed deformer friends. What might the Bloomberg Bill contain? Well let's put it to the words of Pastor Martin Niemoller back in World War II. 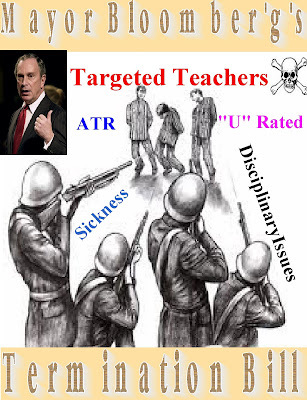 First, Mayor Bloomberg wanted to terminate teachers who received "U" ratings in the last 5 years. I had not received a "U" rating. Then he went after teachers guilty of disciplinary issues and 3020-a charges. I was never subject to discipline issues. Then he went after the ATRs and I never was an ATR. Than he went after teachers with lateness or absences and I am never late or rarely absent. Then when I became older and was approaching my vesting date, he went after me and there was no one left to speak out for me. Yes, it can and will happen to you unless we stand together as a profession. My Thanksgiving WishesTo Some And The "Turkey Award" To Others. It is the day after Thanksgiving and it is time to give thanks to the people and organizations that have helped me through some trying years and the ones that should disappear forever. My family who supported me throughout my ordeal. The many teachers and bloggers who were on my side. My Chapter Leader who is was always there and testified in my behalf. NYC Educator who convinced me to start my blog. The union who keeps telling me "we saved your job". First, when I was in the "rubber room" and second while I am an ATR. Thanks. The many students that contacted me and wanted to testify in my behalf. My NYSUT lawyer who always believed in my innocence. The State Arbitrator who found no misconduct on my part. 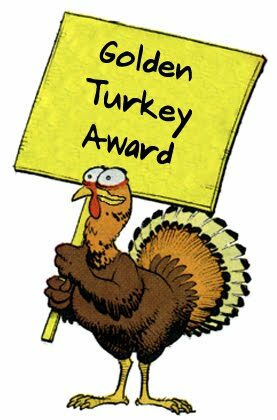 On the other hand, my "Turkey Award" to those organizations and people who should disappear from education forever. My ex-Principal who was canned by the DOE for his poor decision-making and Administrative skills but not before he made sure to charge me with phoney 3020-a charges.. The DOE Office of Legal Services who failed time and again, to realize what a frivolous case they had but still managed to keep me incarcerated in thee "rubber room" for 1567 days. The "scumbag teacher" who met with SCI secretly outside the school and lied to them. Thankfully, even the biased SCI investigator realized he was lying and he now finds himself as an ATR and ostracized by the other teachers who know the story. 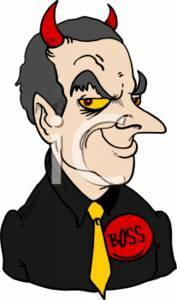 Ex Chancellor Joel Klein who demonized "reassigned teachers" and ATRs by calling them "bad or lazy" teachers. The Mayor's poodle, Chancellor Dennis Walcott, who has not changed any of Joel Klein's failed and destructive education policies since taking over the position seven months ago. Mayor Bloomberg who has almost single handedly tried to destroy the New York City Public Schools and is ending up destroying his legacy as the "Education Mayor". The DOE and the Union leadership whom have allowed the ATR crises to exist in the first place. The fraudulent DOE algorithm which is simply a sick joke for the weekly ATR. The union's failure to allow ATR input in their failed, violated, and unenforceable ATR Agreements that makes a mockery of their advocacy for the ATRs and make them "second class citizens". 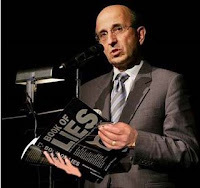 Tweed's bloated Bureaucracy, Consultant contracts, and Technology, while they refuse to stop principals from violating the toothless "ATR Agreement". I can only hope that our union does their job and realize that they need to include ATRs in their committee and make sure the "ATR Agreement" is enforced. 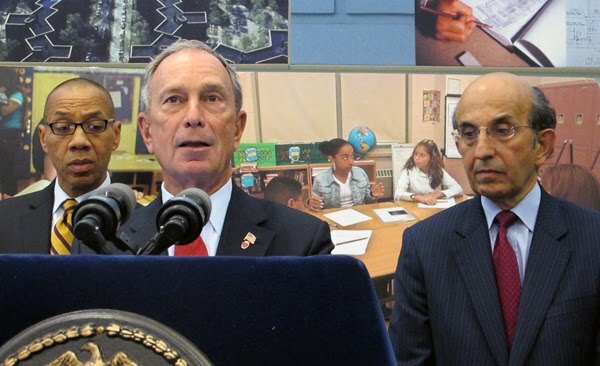 More Evidence That Mayor Bloomberg's & Chancellor Joel Klein's Education Policy Is A Failure. Look At The 2-Year College "Dropout Rate"! There is a growing body of evidence that the Bloomberg/Klein/Walcott Administration has failed the New York City Public School students. The latest news is the publishing of the two year community college "dropout rate" of New York City students. According to the Wall Street Journal an astounding 51% of the New York City students "dropped out" and only 28% have attained either an Associate of Bachelor degree. 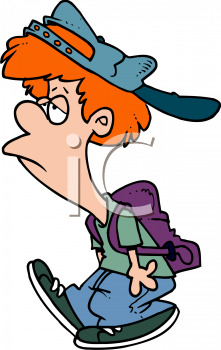 Image, that a majority of New York City students entering the two year community colleges "dropped out"! When you place the two year community college "dropout rate" with the increase in students needing "triple remediation" (22.6%) and the explosion of "credit recovery programs", many of these programs were bogus, that artificially raised the New York City graduation rate, it is very obvious that the New York City students are unprepared for the real world after high school. This is evident with the low "college readiness" grades and is really the reason that the majority of students entering the community colleges dropout. Combine all the above statistics with the widening income/racial academic achievement gap and you can see the Administration's Education policy is all "smoke and mirrors". In other words, a bunch of lies. 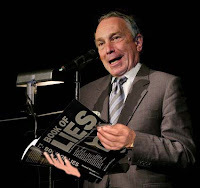 In summary, the community college "dropout rate" is just the latest piece of evidence to show that the Bloomberg/Klein/Walcott Administration's effort to improve the New York City Public School System is a failure and a fraud "Children First"? Not in this reality. The DOE and The UFT Have Made The "ATR Agreement" A Joke As Principals Refuse To Hire ATRs For Their Vacancies And Are Not Punished For It. Here we are approaching Thanksgiving and principals still fail to fill the many vacancies, hidden or advertised, that are available in the New York City Public School System. How does the failure to fill vacancies, hidden or not, help the children? It doesn't of course. In my travels I have found a minimum of eight vacancies in the schools I was assigned to. Of course, the union's position is "did I report them to the District Rep"? The answer is I did in my third school and nothing came of it. As for the other schools, I made sure that Chapter Leaders did report it to the District Rep. What has come from that? Nothing! Absolutely nothing! 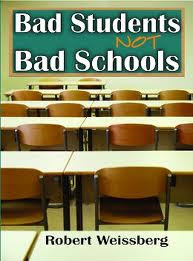 As one Chapter Leader told me "what is the use of reporting school vacancies when the union is doing nothing with it"? With much fanfare the DOE and UFT came up with an "ATR Agreement" that would require principals to hire ATRs for their vacancies. Yeah, right, and I have a bridge in Brooklyn to sell you if you really believe this. Instead of hiring ATRs for their vacancies, the principals simply ignore the "ATR Agreement". Let's look at the many examples of what high school principals do as to not to hire an ATR. Flushing High School Principal hires a day-to-day substitute who is not certified in Earth Science to teach five Regents classes. August Martin High school fails to hire a Social Studies Teacher for their vacancy. Long Island City High School refuses to fill many vacancies. Here, here, and here. Fredrick Douglas Academy VI in Far Rockaway does not hire an English teacher. Metropolitan High School ignores student complaints about not hiring a Chemistry teacher and apparently uses a Special Education teacher to teach Physics. Apparently the Principal at Queens High School of Teaching tries to hire a "newbie" Earth Science teacher by using Crag's list. I am sure there are many more egregious examples of principals refusing to follow the "ATR Agreement" and not hire an ATR but these are the ones either I personally knew about or read it from blogs and news media. For example, I heard from another ATR that claimed an elementary school Principal had bragged how she has a Special Education ATR cover a class for the year without the school being required to pay for the ATR. Another ATR told me of a middle school Principal who refused to hire a Math ATR and has a day-to-day sub covering the Math position. I am sure there are numerous stories of the "ATR Agreement" and nothing appears to be done about it. The reality is that the "ATR Agreement" is another case of the union negotiating with the DOE an unenforceable and violated agreement that the union fails to ensure the DOE abides by. How easy it would be for the union leadership to bring up the numerous violations of the agreement to the mass media and embarrass the DOE in requiring principals to follow the "ATR Agreement" or suffer the consequences that the DOE can enforce. Furthermore, the union can easily show that the principals failure to abide by the "ATR Agreement" is hurting the children and contrary to the DOE's "children first" policy. Instead the union appears to be silent on the issue. Why? I previously wrote about the lack of action and information about what is happening in the DOE/UFT Joint Oversight Committee meetings. Why the secrecy and the lack of transparency? I can only assume that both the DOE and UFT wish that the ATR situation would just disappear but they can't since both the DOE and UFT created the ATR crisis in the first palace. Therefore, both the DOE and UFT treat the ATRs as second class citizens. Sure, they both claim that they want the ATRs to have their own classrooms but "actions speak louder than words". The actions are the ridiculous DOE algorithm that randomly sends ATRs weekly to different schools in the District and the failure to hold principals "accountable" for their willful failure to abide by the "ATR Agreement". The only way the ATR issue disappears is if the DOE requires Principals to hire ATRS and hold firm on the City "job freeze", no other solution is possible without negotiating a new contract which is not going to happen until Mayor Bloomberg and Dennis Walcott are replaced in 2014. 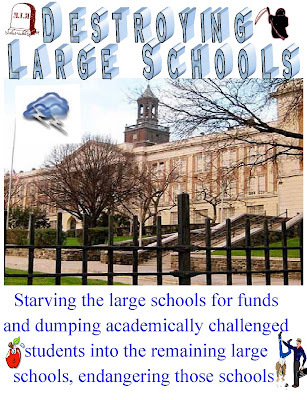 The DOE Continues Their Effort To Destroy The Remaining Large Comprehensive High Schools. However, The Small Schools Replacing Them Are Failing! At one time the pride and joy of the New York Public School System was the large comprehensive high schools. Only the best principals and teachers found their way to these schools and the majestic buildings that housed them.These schools not only had a full menu of academic courses but also included a wide range of electives, clubs, and extracurricular activities. Almost every Advanced Placement course could be found in these schools and academic achievement associated with these schools can be found in the graduates that have become leaders of the present generation. These schools operated as a "home away from home" for the students. Then came Mayor Bloomberg and Chancellor Joel Klein who had declared war on the large comprehensive schools and are winning that war. The hallmark of the Bloomberg/Klein/Walcott Administration was to close the large comprehensive schools and open up small themed or charter schools to replace them. First, the Bloomberg/Klein/Walcott Administration started the propaganda offensive by claiming that the large comprehensive schools as "dropout factories". 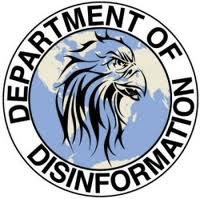 To ensure that the statistics verified their propaganda, they dumped increasing numbers of "English Language Learners" and "Special Education" students into the targeted schools. To further make their point, the recently opened small schools were allowed to exclude the "English Language Learners" and "Special Education" students for the first two years and were allowed to selectively exclude other students who had academic, attendance, and behavioral problems. This allowed the Bloomberg/Klein/Walcott Administration to claim that their education reform was working. The Bloomberg/Klein/Walcott Administration claimed that "small learning communities" were the wave of the future in education. These small schools could supply individual attention to struggling students and give a sense of community to the school. Given everything else being equal, there is some truth to it. However, the reality is quite different. The small schools opened by the DOE were usually lead by a "Leadership Academy Principal" with little or no classroom experience and an inexperienced staff usually populated by "Newbie" and untenured teachers. These teachers lacked classroom management skills and curriculum knowledge. To make matters worse, the class sizes were as large as what was in the large comprehensive schools they replaced. Look what happened to Erasmus High School. They closed it down due to poor performance and made four small schools out of it. They all failed and replaced by other failing small schools. Left unsaid, is that small schools have limited, if any electives, few extracurricular activities, and no Advanced Placement courses. One of the biggest complaints by students who go to these small schools are the very limited courses given by the schools. Unfortunately, this has not stopped the Bloomberg/Klein/Walcott onslaught on destroying the large comprehensive high schools. Even the few remaining "quality schools" in Northeastern Queens (Bayside, Cordozo, & Francis Lewis) have seen a doubling of students with Individual Education Plans (IEPs). In other words a doubling of the amount of "Special Education" students. Eventually, as there will be few remaining large comprehensive high schools, the small schools will increasingly compete for students. This is already happening in the Bronx and Brooklyn. These small schools are now required to accept every applicant to keep their numbers up and their education success is now simply "smoke and mirrors". Look at the poor "college readiness" rates the NYC students have and it is even worse for the small schools. The bottom line is that the Bloomberg/Klein/Walcott Administration's small school policy is a failure but the damage to the few remaining large comprehensive high schools is everlasting and that is a shame. Even New York State Questions The Bogus Graduation Rates And How The NYC High Schools Are Using "Credit Recovery" Programs Inappropriately. ‘Hey, do this computer program for 10 hours, write me a five-page paper and I’ll check it off that you passed,’ ” State Education Commissioner John King told The Post. Interestingly, the DOE failed to defend the increased graduation rates like it usually does, in the New York Post article . The DOE spokesman even agreed with the State that some principals might have abused the "credit recovery" program to increase their graduation rates. The City did an audit of 60 schools that have unusually large "credit recovery" programs and it should be available soon. Given that the DOE did not defend the use of "credit recovery", I suspect the numbers do show some principals artificially raised their graduation rate by abusing the "credit recovery" program. Remember these outrageous examples Here, Here, and Here just to name a few. I believe that finally, the State correctly interpreted the failure of the majority of NYC students to meet the "college and career readiness" standards they developed. Therefore, this brings into question the validity of the graduation rates and the amount and quality of the "credit recovery" programs used to graduate students from the NYC high schools. It should be very interesting when the DOE actually publishes the 60 school audit on the use of "credit recovery" and their graduation rates. I am certainly interested. 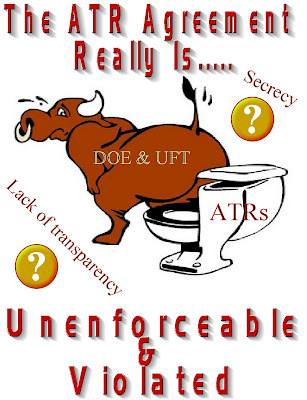 Who Are The People On The Joint Oversight Committee And Why Didn't The UFT Put An ATR On It? The ATR Agreement that was signed by the DOE and UFT as part of the deal not to layoff the "newbie teachers" (like the Mayor would have really done that) has a section that requires that the two parties meet twice a term to determine if the Agreement is actually working and whether there are abuses to the ATR assignment process. In typical UFT fashion of claiming that a "lemon is really lemonade" the ATR Agreement is working as they cheer that 228 of the ATRs took provisional (not permanent) positions in the NYC school system. Left unsaid is that still leaves 1,200 ATRs going from school to school weekly, mostly senior teachers and that is what the union calls success? The question is who is on the Joint Oversight Committee? Is it Michael Mendel? Amy Arundell? Leo Casey? (please let this be no). Who? How about the DOE? Andrew Gordon? Who else? Who cares? Well I care. First, why is there not an ATR on the Joint Oversight Committee? You would think that first hand knowledge of how the ATR Agreement is really working would be sought after by both the DOE and union? However,, the union chose not to put an ATR on the committee since they don't want to hear the inconvenient truth of the failure it is. You wouldn't want real information to be given to the affected members would you? Every time the ATRs complain about how the union does not protect them, the unions answer is always the same. "We protected your job" . Unfortunately, the truth is the union aided and abetted the DOE in causing and perpetuating the ATR crises. Let's look how this happened. First, the union agreed to the ATRs in the infamous 2005 contract that eliminating excessing and bumping and allowed principals to hire from the outside. Second, the union failed to challenge the Chancellor and allowed Joel Klein to demonize the ATRs in his famous 2006 memo to principals not to hire them because they are "lazy and bad teachers". Third, the union allowed the DOE to drop the "job freeze"during the summer hiring season to ensure the few ATRs would be given an opportunity to interview for positions. Fourth, the UFT bought into the DOE propaganda that their algorithm would maximize and match schools with vacancies and ATRs. In reality the algorithm is a fraud and some teachers were assigned to schools that didn't even have their subject area! The DOE algorithm simply randomizes the ATR with the schools in their district and does not take into account potential matches. Finally, many principals are either hiding or not filling their vacancies and the UFT does nothing about it. Some District Reps have been diligent in reporting these vacancies to the leadership, while others don't. Regardless, the leadership at the UFT appears not to be too interested in pursuing principals for their failure to either fill their vacancies or using day-to-day subs in violation of the ATR Agreement. Here is one example. Notice how the union's newspaper, The New York Teacher, seems never to have articles about the ATRs? I guess "out of sight, out of mind". 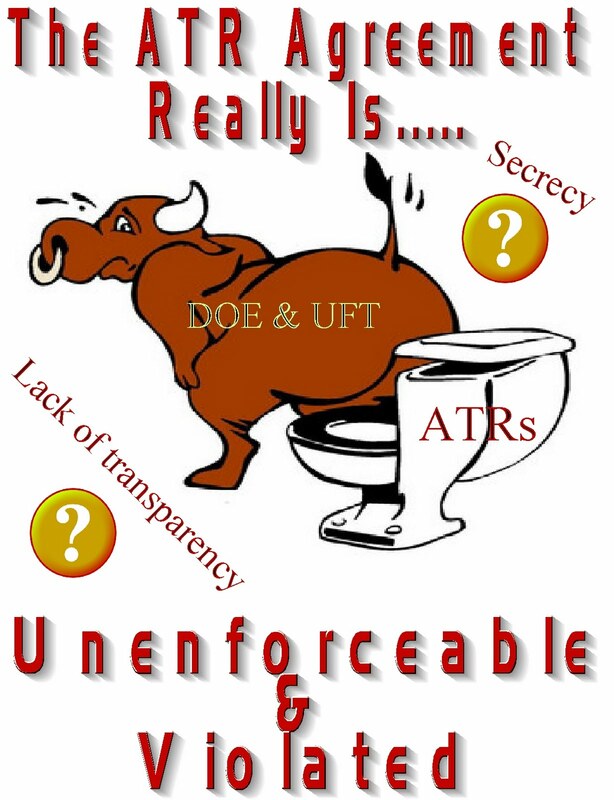 I believe the UFT suffers from the same lack of transparency as the DOE does and this secrecy and disinformation is not in the members interest, especially the ATRs., It is the responsibility of the two parties to provide the following information to the affected members. Many of us want our own classroom. However, this is extremely difficult when the union allows the DOE to abuse and use the ATRs as they see fit. To claim the ATR Agreement is working is pure disinformation, a disgrace to the ATRs and a disservice to the students. I thought it was "children first...Always". I guess I was wrong. The Disgraceful Disconnect Between The DOE's School Progress Reports And The NYS List Of Failing Schools Is Exposed By The Latest Data. Last week New York State came out with a list of "failing schools" in NYC and of the approximately 1700 schools in the NYC system, an astounding 38% were found failing. Yes, 640 schools are "failing their students". If that doesn't surprise you how about this troubling statistic? over 200 of the schools the State found "failing their students", received either an "A" or "B" on the DOE's yearly progress report. Unbelievable, but true. To make matters worse, 350 new schools were added to the "failing schools" list and an astounding 180 of those schools received either an "A" or "B", only 12 schools were taken off the list this year. In addition, the New York State Regents Chancellor, Meryl Tisch has criticized the DOE for closing schools and allowing the "warehousing of students", especially in the remaining large comprehensive high schools by claiming these unlucky students don't have a shot of succeeding. She went on further by citing her visit to Automotive High School where only 1% were found to be "college and career ready". The Mayor disagrees with the New York State Regents Chancellor by bringing up the same old song of the bogus graduation rate and closing schools that fail. However, seeing is believing and the State Regents Chancellor saw students not learning due to their behaviors, students wandering in the hallways during class time, and many students were missing from the classroom. It is a pity when even the New York State Regents Chancellor realizes that the Bloomberg/Klein/Walcott Administration has failed the children in their ongoing "children last" polices. The "Numb Nuts" At The DOE Adds More Responsibility & Paperwork To Teachers By Now Requiring Them To Report Child Abuse Directly To ACS. The "numb nuts" at the DOE has added yet more responsibility and paperwork and possibly putting teachers "at risk" by now requiring that teachers report any suspicion of child abuse directly to New York City Administration for Children Services (ACS). While teachers have always been "Mandated Reporters" when it came to suspicion of child abuse, it was the Guidance Counselors who did the interview and determined if ACS should be informed. Remember, Guidance Counselors are trained to talk to the students about potential abuse not teachers. Therefore, it made sense to let the trained personnel to interview the student and make the proper assessment whether to bring in the ACS investigator. Now the DOE has decided that untrained and unqualified teachers should do the initial oral report, get a call ID number, and file a written report (LDSS 2221-A) within 72 hours of suspected child abuse or neglect. Furthermore, this report includes the name, title, and contact information of every staff person who is believed to have direct knowledge of the allegations in the report. The DOE then threatens teachers by claiming that failure to report suspect child abuse could result in disciplinary action. While I understand we must protect children from abuse and neglect, many teachers are not qualified to evaluate child abuse. We are not trained in identifying abuse or neglect, except for taking a three hour course, that may have been taken a decade ago. 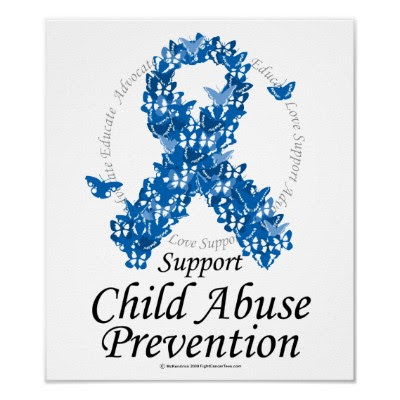 By contrast Guidance Counselors are trained to evaluate abuse and neglect and their offices are set up for privacy, a phone on their desk, and time to talk to children one-on-one. By contrast, when can teachers make time to talk to the child one-on-one? Unlike Guidance Counselors, teachers have no private offices with phones and have classroom duties. Teachers work in rooms with up to 34 students and privacy is not available to many of them. Worse, even if you can find the private area to speak to the student when does the teacher have the time to call ACS and write a written report? At home? during lunch? Maybe during the weekend but you better do it within 72 hours or else! I can only say that the "numb nuts" at the DOE obviously didn't think this out and have not only increased teacher responsibility and paperwork but puts those very teachers "at risk" for disciplinary action if they fail to detect abuse or neglect because they are not trained in identifying these in children. I hope the union can convince the DOE that this is unsound policy and that the DOE should let the experts, the Guidance Counselors determine whether students are being abused or neglected not teachers. Their job is hard enough without he extra responsibility and paperwork associated with this unfair and unfortunate change in reporting child abuse and neglect. The "Restart/Transformation" Schools Are Shortchanging The Students By Not Giving Them A Proper Science Education. I have been to three "Restart" Schools this school year and one of my ATR friends have been to a "Transformation" school and we both found that the four schools are shortchanging the students by not providing a proper science education and jeopardizing their ability to obtain a "Regents Diploma". All four schools only give four, not five classes of science weekly. These schools shortchange the students who take Science by one class weekly. This means that more pressure is put on the teachers to keep the students on task since the Science curriculum is based upon five classes weekly, plus a laboratory period. This requires that enrichment lessons to make science more interesting has to be abandoned as the teachers strain to fit five days of work into four, not an educationally sound plan. Especially for struggling students. Worse yet, many of the teachers teaching Earth Science, the second Science needed to get a High School diploma, are not certified in the subject. Many of the Science teachers teaching Earth Science are Living Environment teachers and are required to teach the Earth Science classes which is not educationally fair to the students. Especially, the ones who want the more valuable Regents diploma. Furthermore, all these schools appear to have vacancies, either hidden or announced and have failed to fill them. The question is why? You might ask why would the "Restart/Transformation" schools shortchange the Science students and not fill their other vacancies? Don't they need to show academic improvement to survive? Wouldn't extra teachers help student academic achievement? You would think so. wouldn't you? However, it is really about the budget for these principals. First, by shortchanging the students one class weekly, the school does not have to hire two Science teachers and by having uncertified Science teachers teaching Earth Science, they don't have to hire hard to find Earth Science teachers who tend to be highly paid. The schools know that they only need to achieve a 60% graduation rate and reduce the dropout rate by 5% to meet the federal funding requirements so if the students are failing their courses, just give them "credit recovery programs" for the last month to get them to pass and not dropout. Knowledge, what knowledge? Who cares if these students are not "career or college ready"? That's society's problem. For the school it is meeting the 60% graduation rate and reducing the dropout rate by 5% by any means possible. As for the long-term future of these students? 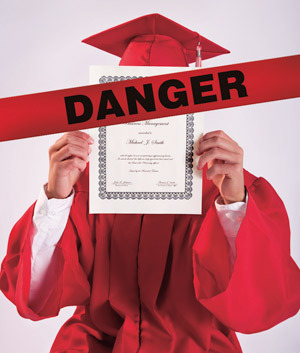 It is not the school's problem once they award the academically challenged students their bogus diplomas. "Children last. Always". If You Don't Believe That Principals Are Trying To Get Around Hiring ATRs For Their Vacancies And Long-Term Leave Positions Then Just Read This! A friend of mine found an advertisement on Craigslist from a high school in District 26/77 in Bellerose Queens and if you have any doubts what principals are doing about hiring ATRs to fill positions? This advertisement should put this to rest. The position is a 9th grade Earth Science long-term leave replacement and notice it talks about the UFT collective bargaining agreement. It would appear that the Principal is trying to get around the hiring freeze by any means possible. You can read the advertisement Here. Another ATR Agreement that the DOE violates at will and the union does nothing about it. Is This Really Something To Cheer About As One Out Of Every Ten ATRs Have Been Provisionally Placed For The School Year? The latest statistics supplied by the DOE via Gotham Schools, shows that 10% of the ATRs have found provisional (not permanent) placements in schools throughout New York City. This leaves approximately 1,200 ATRs who are forced to move weekly to different schools. Interestingly, the longer term ATRs had less success in finding a long-term placement, with only 4.4% long-term ATRs were able to find a position for the school year. It would seem that principals were not interested in the ATRs that had been in the pool over a year and is similar to employers who don't want to hire the long term unemployed as if there is something wrong with them. The real question is the information behind the statistics that the DOE has but has not made available. Here is the information that needs to be given to determine who is being offered positions and who are not. What is the average age of the ATRs selected by the schools when compared to the age of the entire ATR pool? What is the average salary of the ATRs selected by the schools when compared to the salary of the entire ATR pool? How many years of experience did the ATRs selected by the schools have when compared to the experience of he entire ATR pool? In addition, how many of those ATRs panicked and settled for positions in schools that have a history of high teacher turnover, terrible Administration, are restart/transformation schools or schools outside their District or Borough?. Finally, the question that still has not bee addressed by either the DOE and UFT is the failure of principals to fill their vacancies with certified teachers in the subject area. The statistics are nice but it's the information behind the statistics that is needed to adequately determine what is really going on in the ATR hiring process. My Interview With Students "Alex and Andrea" In a Class That Has No Teacher But Is Not Listed As A "Vacancy". I found myself covering a group of classes that has not had a stable teacher since school started. What is bad is that this class ends with a Regents in June and the students are starting to realize that time is running out on them. They complained to me that they have rotating teachers, probably ATRs, and two of the classes have subject teachers who are given coverages and don't seem to care about them. What is worse is that this class and the others in the group are not considered a vacancy according to the school! I sat down with two students "Alex & Andrea", not their real names, and asked them how they felt about the situation of having no stable teacher for their classes. Alex spoke first and said that when the school year started the Principal came in and told the class that the teacher who will be guiding you will be leaving the school in October (probably an ATR) and I am hiring a teacher who will be the permanent teacher for the year. During October the teacher disappeared and we were given teachers weekly (definitely ATRs). During this time four people were brought into our class to do a demonstration lesson. The first was a middle aged man who really knew how to teach, he got us involved in the lesson and the class really liked him but alas, he never came back. The next two were women and both did not connect with us. The class found both women boring and they also never came back. The final teacher was a young man who did a poor job with the class. He tried to get us to participate and we would have if we understood what he was talking about. He spoke above us and his demonstration was the poorest of the four. However, we were desperate for a teacher and were happy when rumors spread that they hired the teacher. Unfortunately, he also never came back. Someone said the Principal could not hire him. 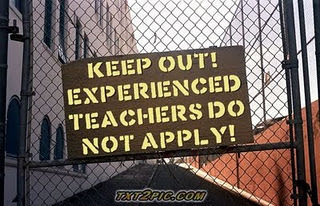 My guess either he was not certified or the Principal could not get the DOE to waive the hiring freeze. At this point "Andrea" spoke and said that her mother came to the school to talk to the Principal about her daughter's class not having a teacher. The Principal assured Andrea's mother that the class has certified teachers giving instruction and that the school was working on assigning a teacher permanently to the class. Andrea told her mother that the Principal is lying. that most of the teachers require them to read a few pages and do the questions. The teachers offer no actual instruction. Their homework is never collected and some teachers give them dittos that have little academic merit. She also said that they have not had even one test yet! She seemed very upset as she told me her story and wanted to know who should her mother talk to since talking to the Principal is not the answer. My response was that she should email and call the Chancellor and ask him what is being done for her daughter's class? Let's hope that "Alex and Andrea" actually gets a teacher and all other "Alexs and Andreas" who are student victims of principals who refuse to fill their vacancies. Shame on these principals and shame on the DOE and UFT for knowing about these secret vacancies and not acting to correct the problem. Children first. Always is just a sick joke.